SWNS / YouTubeAmazon shipped a tiny microphone stand in a shockingly massive box. Amazon shipped a tiny microphone stand in a huge, 4-foot (1.2 metres) by 2-foot box (60cm) with 30 feet (10 metres) of packaging paper. 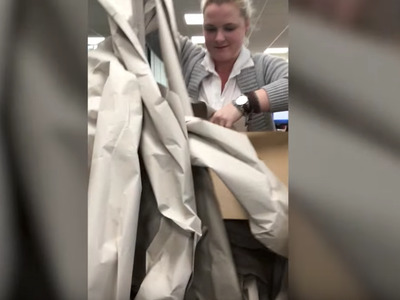 Amazon says it’s trying to fix the problem by shipping products in their original packaging, along with other measures. 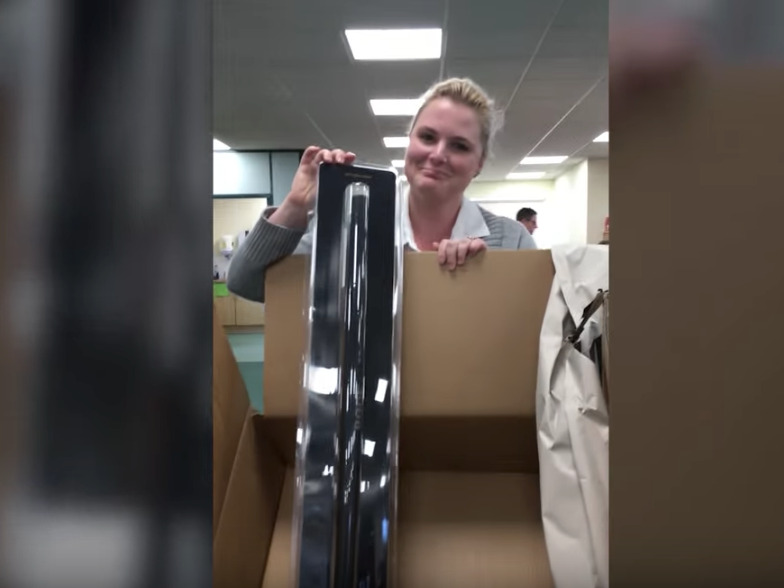 A shopper in the UK recently received a boom pole – also known as a microphone stand – that Amazon had packaged in a huge, 4-foot by 2-foot box, SWNS reports. “I just couldn’t believe the amount that came with it,” Jade Nightscales, the customer who ordered the package, told SWNS. “The boom pole is so small – it was a bit of a needle-in-a-haystack type job.